I'll take a guess that I'm not the only person that seriously dislikes nail filing? I hate it, but it's something that must be done, to keep nails in a good shape, and to smooth any rough edges. For as long as I can remember I used metal nail files, you know those horrible ones you get in manicure kits which people buy you for Christmas when they don't know you well enough? How I used them, I do not know. Then 3 years ago I got hooked onto the less terrifying emery board, but still found nail filing was a tedious chore. With my nails in SOS mode, I ordered a crystal nail file off Amazon, a little pricier than their metal and emery board counterparts but with a promise of a lifetime guarantee, and easier nail-filing. But, do they live up to the hype? 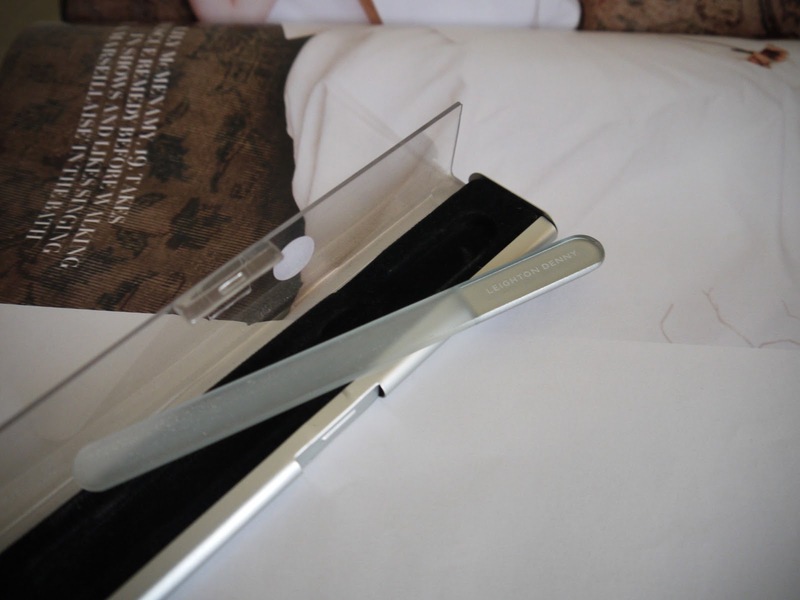 With the file being made from glass, the packaging is one of the most important aspects to stop it from smashing as soon as it gets put in a handbag. It's case isn't the most attractive, but is very protective, with an aluminium coating, a black velvet type cushioning, and a plastic flip top lid. For a very obvious reason, I cannot comment on the "lifetime guarantee" as I haven't had it for a lifetime... But with a person as clumsy as myself, I dare say that I will drop this at some point, and it'll be another fallen victim to my wooden floor in my bedroom. But I cannot recommend this file enough, it's completely revolutionary, and I've now got two of my Aunty's lusting over these. This is one of those items which is a complete game-changer, knocking everything else out the ball-park! In the picture above, I had broke a nail (very low, ouch!) and so I needed to file my nails down quite a lot to make them all match a little more. When I would usually use a nail scissor and an emery board, the crystal nail file was the only thing I needed, to take at least a few mm off the length of my nails I spent about five minutes filing both hands... making it easy to use, and quick? My ideal product! You can buy this file from Amazon, here. You can also buy larger ones, but in my eyes, this is the perfect size to keep your nails in shape, especially if you have quite small finger-nails and nail beds like myself. And I forgot to mention, that I haven't forgotten I promised to hold a giveaway, but I was a little concerned that if GFC ended, then my "100 followers" giveaway would become a little obsolete. Anyway, now it's still here, I'm definitely going to be shopping so I can hold my first giveaway! How exciting!! Ohh love it, your nails look so pretty! I'm not a fan of filing my nail either, but this file sounds so good that maybe if I got one I'd enjoy doing it. I love the fact that you don't get residue whilst using this file! 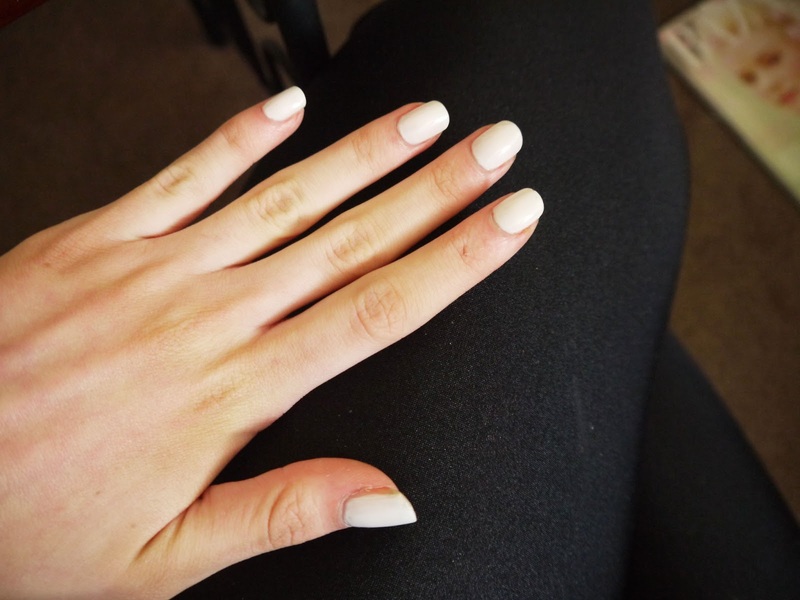 I can't live without my glass nail file - can't believe that we ever used emery boards!